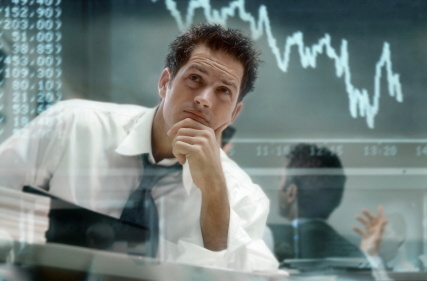 As a stockbroker, do you think your customers are happy with the service you give them? Do you think you deserve the 50 basis point cut they give you for every trade? Do you think you really care for them to make money from markets? People come to invest in the share market to make money. A new customer walks into the broking firms office after being convinced by the sales guy. He is asked to submit his KYC details and makes him sign on lots of documents and finally, his account is active. Now what? The next day onwards the broker starts to send them tips or research reports on lots of stocks in the market. All of them will be having a buy signal irrespective of the market condition or his risk appetite. Customer chooses to buy something from the suggestions. BINGO broker gets his first cut. The broker will continue to send tips/research reports and the customer may or may not buy some from the list. Some shares may rise, some may tank but the customer is all alone from here on. He will never get any information on why his stock price went down. The broker will go into a quarantine mode once the markets start tanking heavily. Customer will be at sea not knowing whether to book loses and get out or wait for the next bull cycle. The broker will become active again once the market starts moving again. Then the broker will recommend the user to re-balance his portfolio by selling the nonperforming shares and buy a new set. Again the same story... broker just works for his cut. And the customer will finally get added to brokers inactive customer base. This way of working will not take this industry anywhere. How can we change this? How can we improve? These are some steps which we think will make a huge difference in the situation. Be on the side of the customer. Think about how you can help him make a profit and work for it. Your revenues will surely increase in the long run. Always keep in touch with the customer through different channels like phone, email, blog, CRM platforms etc. Never just try to deliver big trade volumes so that your revenues is good. This is harmful in the long run as customers will find ways to stay away from you. Always remember businesses will be benefited, if you could deliver good value to customers. Never be tempted to advise high risk stocks to a person with very low risk appetite. Some people may not be able to handle the loss. So taking more risk will only help the customer move away from you. Yes, we know it's hard to resist doing more business when you can easily sell. But what will happen in the subsequent market down turn will cost you too much. You are happy to call up your customers when the going is good. Do you call up when the market is down or when the call is bad? No, usually it doesn't happen, who likes to deliver bad news, right? But this head in the sand response will not help in hiding the looses made by the customer, they will always know. They will feel bad that you let them down. Now imagine you called them during the down turn and explained why loses occurred and how the market can still bounce back, they will surely listen and you can surely lessen the ill will they feel towards you. Do you think this makes sense? We would like to hear from you. Please share your views in the comments section below.